Age Limit : Candidates Age Should not less than 18 year . View Details In official notification. Educational Qualification : Candidates should pass 5th/8th/10th or equivalents from any recognized Boards.View Details In official notification. 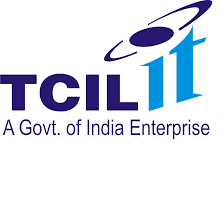 How To Apply : All Eligible And Interested Candidates Can Download Application Form from official website www.tcil-india.com. After completion of application form candidates needs to send application form with respected documents to the address given below before 15.10.2017. Last Date for the Submission of Application : 15.10.2017.